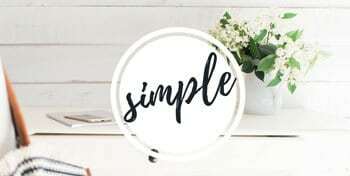 Want to use essential oils on your kids but don’t know where to start? 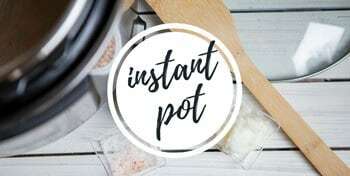 Check out this guide with safety and dilution guidelines, top essential oils for kids, and DIY recipes. Essential oils have become a mainstay in my family. 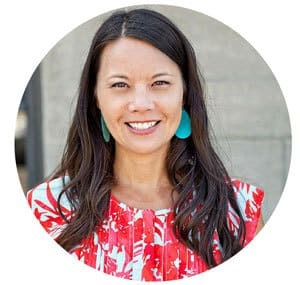 Whether it’s getting gum out of hair or soothing a bug bite, my kids frequently ask for their oils to help. 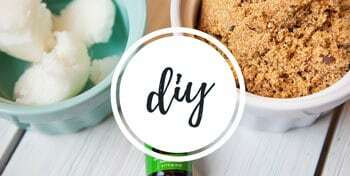 Check out these DIY recipes and tips on how to use essential oils for kids. 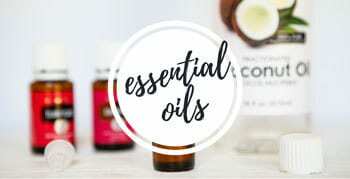 And don’t forget to check out my companion post, Essential Oils for Baby, and my Beginner’s Guide to Essential Oils. 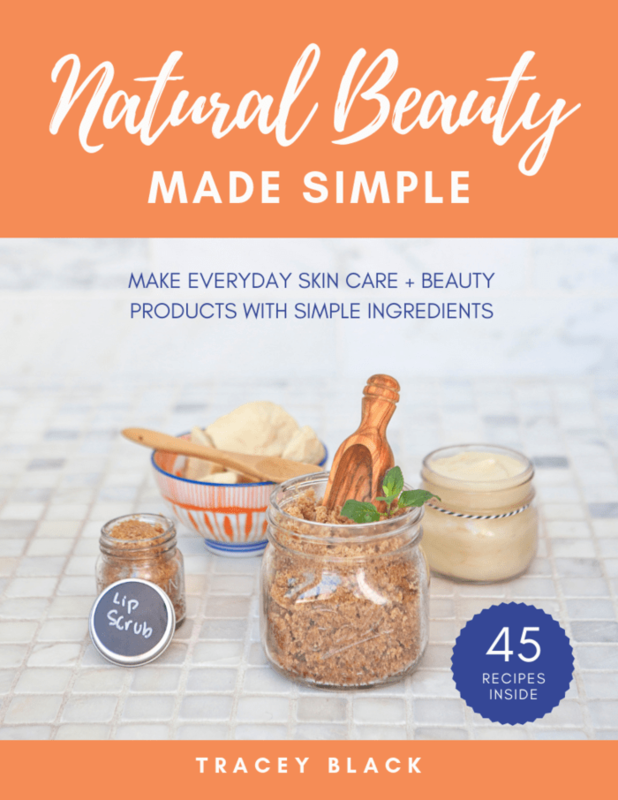 Before we get to my list of how to use essential oils to make your own DIY products and other tips, I wanted to introduce you to one of my favorite books on essential oils. It’s called Gentle Babies book by Debra Raybern. 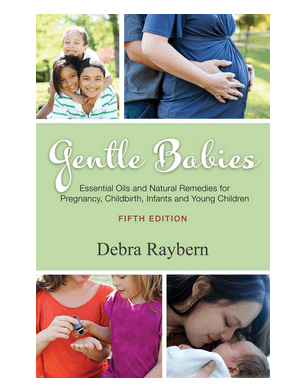 Gentle Babies is my go-to guide for essential oils for pregnancy, childbirth, infants and young children. It’s chock full of useful tips on how to use essential oils for kids’ health and wellness. A little really goes a long way when it comes to essential oils. For instance, you may only need 2 drops of essential oil mixed with 10 ml (2 tsp) of carrier oil for use on kids between the ages of 2-5. An easy rule of thumb is about 1 drop per year of age in a 10 ml roller bottle (up to 10 drops for 12+ years). 10 drops in a 10 ml roller bottle with carrier oil is a 5% dilution. 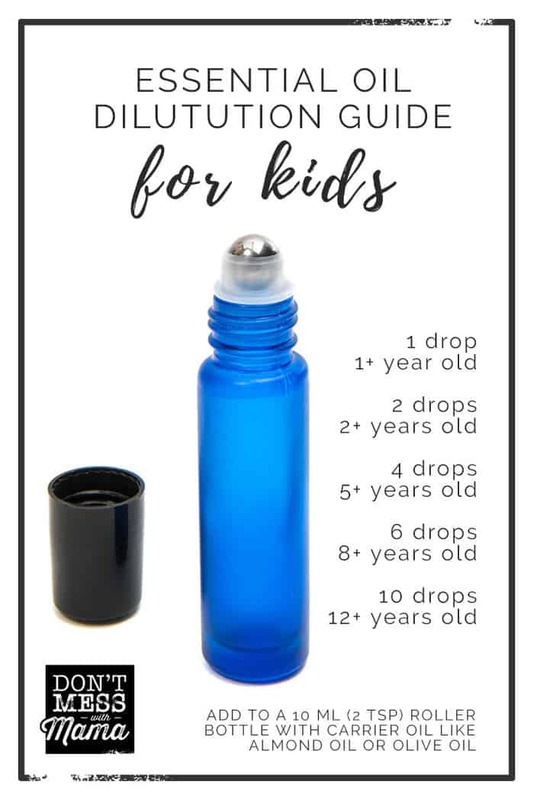 For older kids (8+ years), I have used a 10% dilution – which is 20 drops in a 10 ml roller with carrier oil for short-term needs, like muscle relief, chest rub, etc. 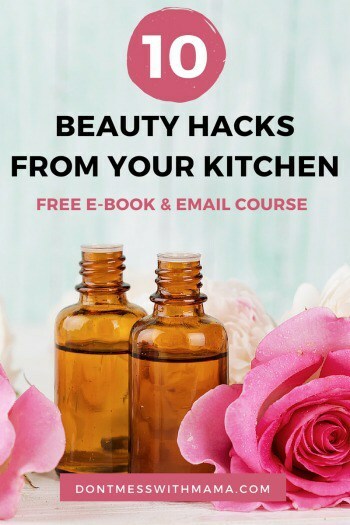 Carrier oils help to dilute essential oils for better absorption, to use on a larger surface area like the back, and to dilute oils that may feel hot to the touch. Always dilute essential oils for use on kids. Here’s more information on carrier oils. Lavender is the best go-to oil when you’re not sure what to use. It’s great for skin (too much sun, skin relief, boo-boos and more), relaxation, balance and the best sleep ever. It’s also incredibly gentle… perfect for little ones. Frankincense is also great for kids. It’s gentle and has a mild aroma. Pair it with Lavender for all things skin and for balance. Copaiba Vitality is fantastic for immune support. It’s delicious on a spoonful of honey (just add 1 drop). It’s also a great when those molars come in. Mix 1 drop with a little coconut oil and apply to the gums for relief. Thieves Vitality is also great for immune support. It’s a blend made with cinnamon bark, clove, rosemary, eucalyptus, and lemon. Pair with Copaiba Vitality and add a drop of each on a spoonful of honey. Or make a soothing throat spray – add 2-3 drops to a 1 oz spray bottle and fill with water. Spray the inside of the throat for relief. Peppermint Vitality is the best for digestive support… like when the kids eat too much pizza or sweet treats. It’s very strong – even 1 drop can be a lot in a cup of water. So start with dipping a toothpick in the bottle and use that for 8 oz of water. You can also use Peppermint topically in a 10 ml roller – use 1 drop and apply to the tummy. Peppermint Vitality is fantastic for cooking – add 2 drops in a batch of brownies or a chocolate smoothie for a minty chocolate treat. DiGize Vitality is also great for digestive support, and it’s one my kids actually prefer. They just put a drop under their tongue for almost-instant tummy relief. We don’t travel without this oil blend – made with fennel, peppermint, tarragon, anise, ginger and patchouli. PanAway is a blend made with helichrysum, wintergreen, clove and peppermint. It’s fantastic for muscle relief. So if you have kids who play sports. Mix 1 drop with 10 drops of carrier oil and apply to the back, shoulders, back of legs or other areas that need support. Raven is a blend made with ravensara, lemon, wintergreen, peppermint and eucalyptus. Mix 1-2 drops with 10 drops of coconut oil to make a soothing chest rub. Great for those winter months. This does contain eucalyptus and some kids are sensitive to it. An alternative would be to use myrtle or ravensara instead. All of these oils and more are in my favorite starter kit of essential oils. It’s called the premium starter kit. 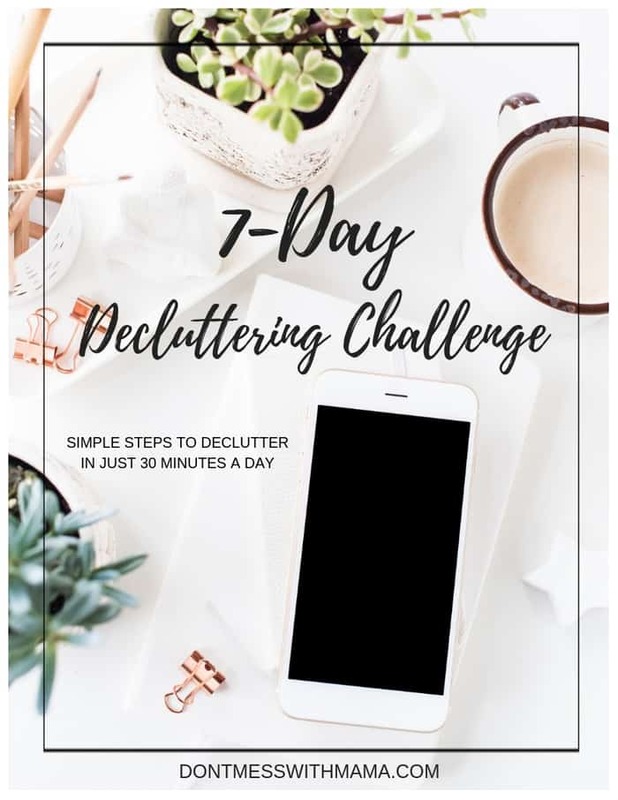 It includes 11 essential oils and blends (including all the ones above), plus a diffuser (which can replace candles and air fresheners) and other goodies. Find out how you can get the starter kit for 50% off retail prices. It’s the best way to get kids and the whole family started with essential oils. Other essential oils that are appropriate for kids are: Cedarwood, Citronella, Roman Chamomile, Orange, Spearmint, Ginger, Helichrysum, Lime, Patchouli, Pine, Tangerine, Tea Tree, and Vetiver. Use a few drops of Lemon essential oil in a small spray bottle with water and spray areas to clean naturally. A nightly bedtime massage is a great way to bond with children. Apply 1 drop of Lavender essential oil with 5-10 drops of a carrier oil (like coconut oil, olive oil or almond oil) and massage child’s back, tummy, legs, arms and feet. Add 2-3 drops of Lemon essential oil essential oil to a diffuser to freshen and deodorize a room. Got stinky laundry? Add a few drops of your favorite essential oil (Purification essential oil blend and Lemon essential oil work great) to the detergent container of your washing machine to freshen up laundry and eliminate odors. Gum happens. And when it ends up in your child’s hair, don’t worry. Just use a few drops of Lemon essential oil and gently massage gum out of hair. Lemon essential oil works great for permanent marker stains on walls, stickers on tables, those pesky bandage stickies that stay on even after the bandage is taken off, and even gunk on toys. Who else has kids who make impromptu lemonade stands? Not just mine, right? 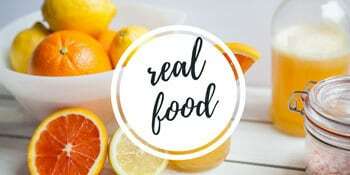 Well, instead of rushing out to the store to get fresh lemons, make lemonade without the elbow grease of squeezing lemons yourself. Just add 1-2 drops Lemon essential oil to a tall glass of water with 1 tsp of raw honey. Makes one serving – adjust recipe accordingly to make a pitcher of lemonade. Got too much sun? Try this DIY sun relief spray. It helps to soothe skin. Dilute 2-3 of Lavender essential oil to a tbsp of coconut oil and massage onto skin. Add 2 drops Peace & Calming or Lavender with 5-10 drops of carrier oil and apply to the bottom of feet before nap or bedtime. You can also diffuse a few drops of Lavender essential oil in child’s room before bed. I personally do this every night with all three of my kids. You can even try this tips to calm kids naturally with essential oils. I’ve got an easy tutorial to make your own baby wipes – both disposable and reusable – with Lavender essential oil. These wipes are great for the bathroom, and can be used for cleaning on the go too. Don’t forget to PIN this post to save it for later. You can also FOLLOW ME on Facebook, Instagram and Pinterest to see what other fun things I’m getting up to.